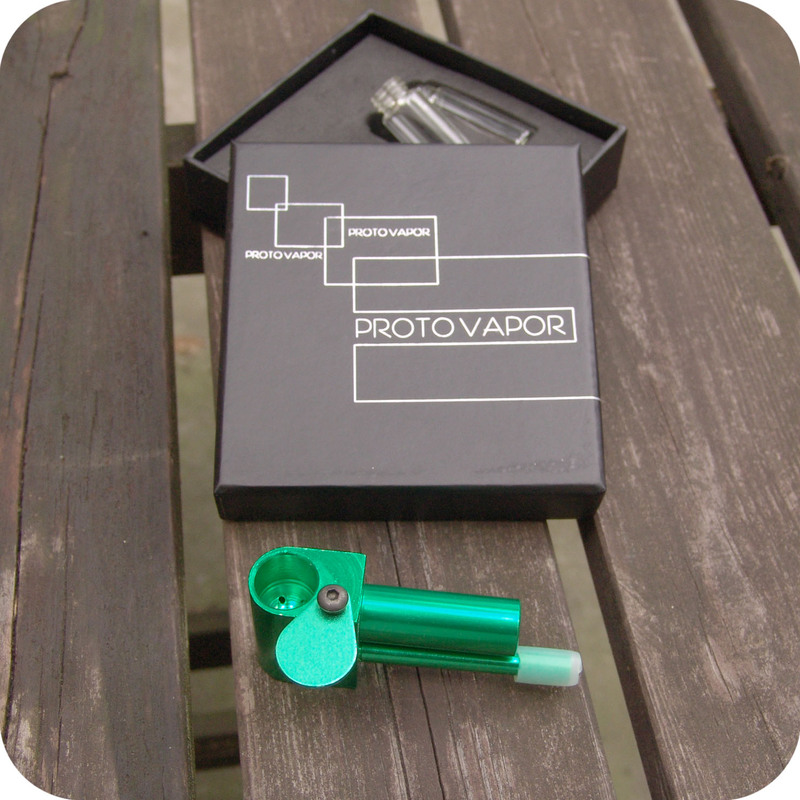 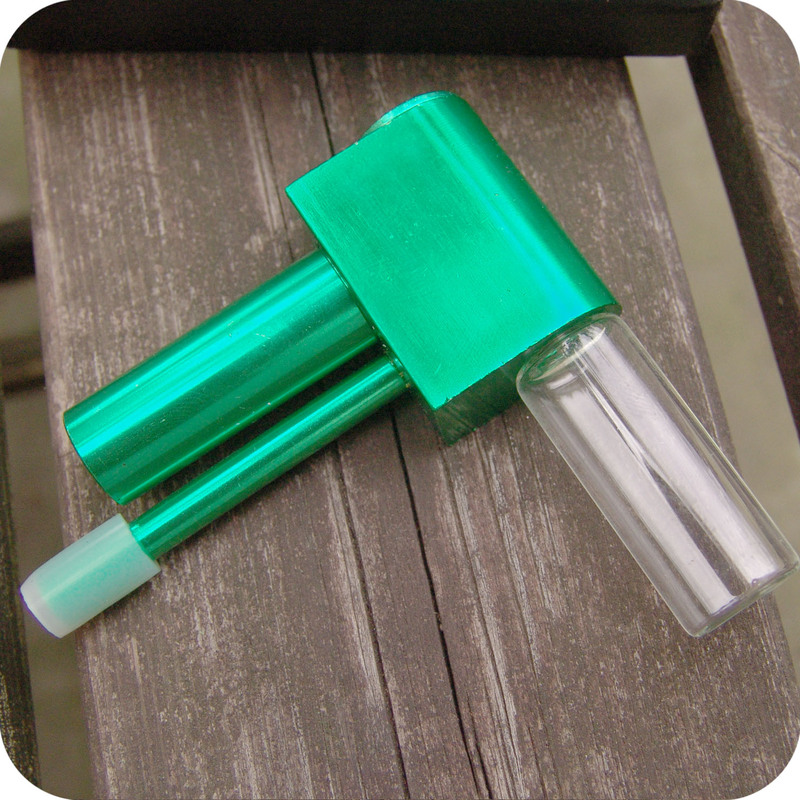 The Protovape Vaporizer is a sleek, compact pipe that can be used as either a regular smoking pipe for dry herbs, or as a handheld vaporizer! 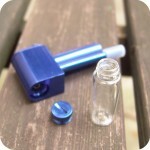 The chamber features a swivel lid that slides open to reveal a wind-proof bowl with a built-in screen and a great size. The metal disc on the underside of the bowl unscrews to allow for easy cleaning, and with that disc removed, you can attach the clear glass borosilicate jar filled with a wax and heat it with a lighter from underneath for easy, portable vaporization without batteries or electronics! 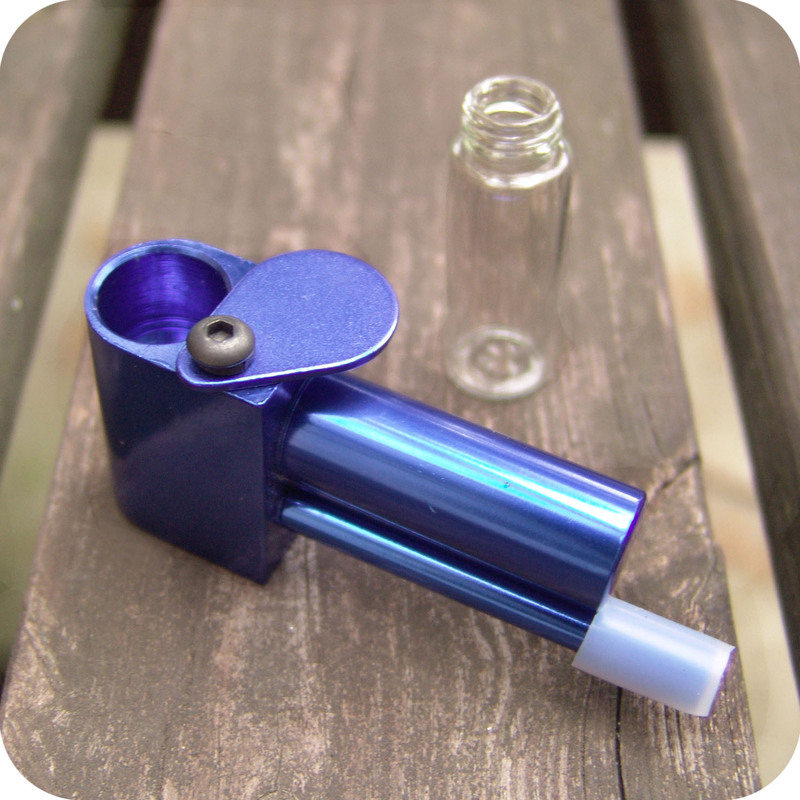 The slender stem comes with a comfortable, flexible mouthpiece, and when unscrewed from the bowl, the stem doubles as a pipe cleaning poker. 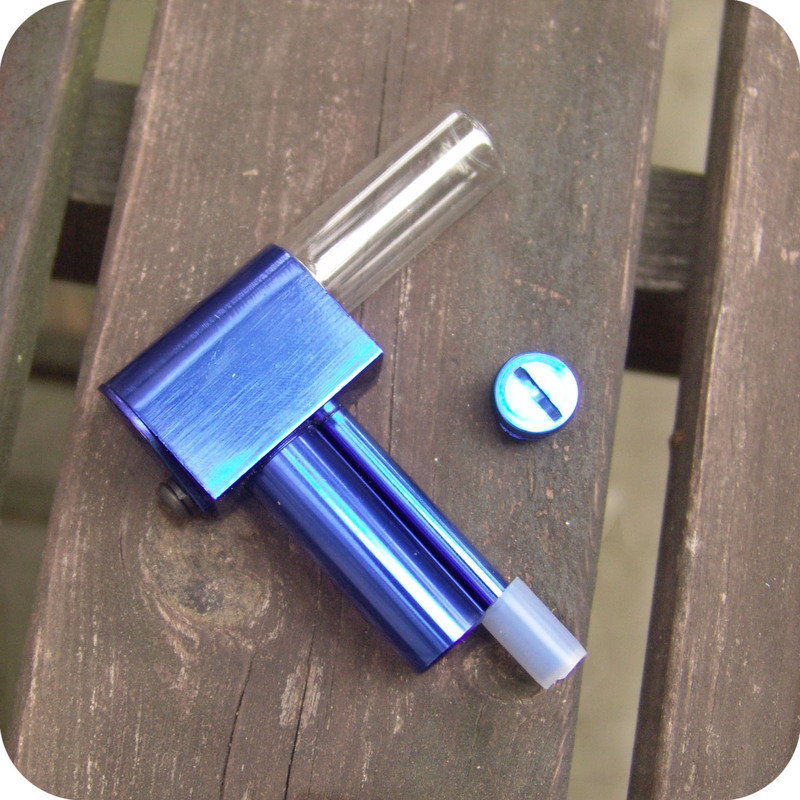 The stash compartment is also held in place by tough metal threading. 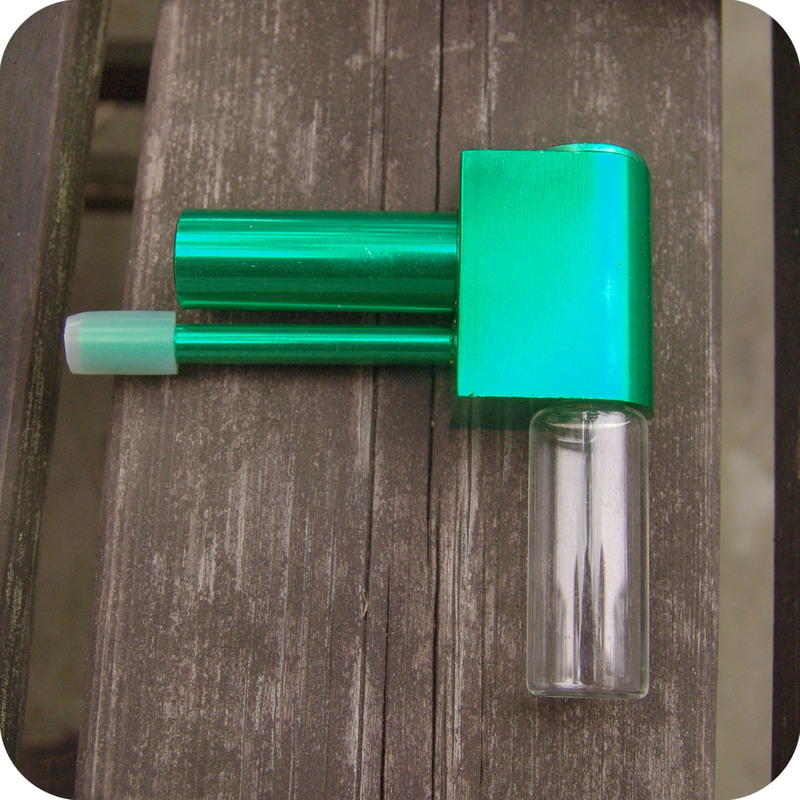 This package includes: Stash compartment, cleaning poker, wind-proof bowl with swivel lid, 2 clear borosilicate glass jars for vaporizing! 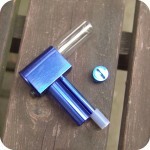 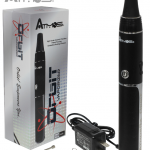 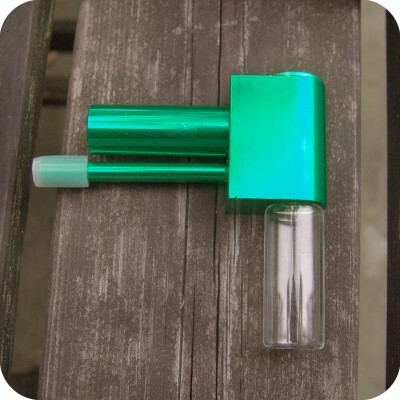 Categories: Smoking Pipes, Metal Pipes, Vaporizers.